Six villages from the tikina of Vitogo in Lautoka who have been farming honey bees, will now be able to produce honey more efficiently through the launch of a semi honey extraction plant. 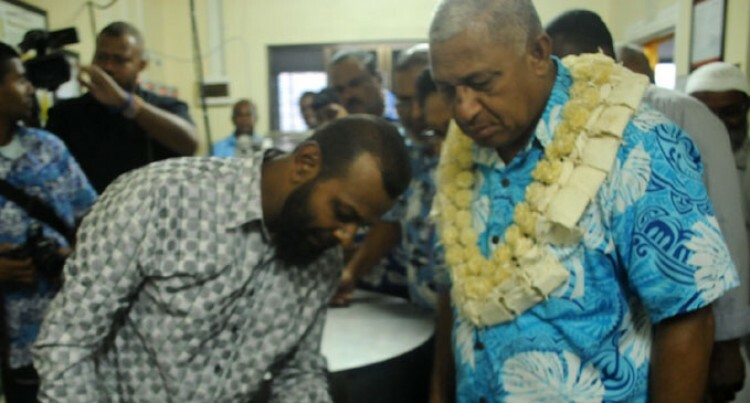 Prime Minister Voreqe Bainimarama opened the plant last Friday at Naikabula, Lautoka. Mr Wahid Ismail Malawiya of Farm Fresh Pure Honey is the owner of the new plant which was brought from New Zealand. Through the plant, the villagers of Vitogo, Naviago, Matawalu, Vakabuli, Saru and Namoli can now grow further through better productivity. “Our honey industry may be small but it is thriving and has great potential for growth; beekeeping has many advantages for a nation like Fiji,” Mr Bainimarama said. “It doesn’t require much technology, the basic skills of beekeeping are easy to master and set up costs are low,” he said. He thanked the Malawiya family for their contribution to the honey industry over the decades and acknowledged their willingness to work with the local community and iTaukei landowners to share the benefits of the industry. He said he was pleased with the participation of young people through the Tikina of Vitogo youth beekeepers – an initiative to enable land owners to learn the skills of the trade and reap some benefits. The government recognised this with a contribution of just under $195,000 for both this plant and the tikina of Vitogo to enable the industry here to become even more productive. This would also encourage the economic participation of land owners and spread the benefits through the local economy and beyond. He said Fiji has the potential to cater for 50,000 beehives which means a revenue of $5million a year. Currently, there are about 1300 beekeepers in Viti Levu, Vanua Levu, the Lau Group and Kadavu.